Anti-skid tiles in attached terrace area. Two Hi-speed branded stainless steel lifts. Fully equipped Club house & patio. ardrobe in every bedroom. Power backup for lifts & common areas. Stupendous lush green area. Granite Kitchen with parallel service platform, branded stainless steel sink. Stylish wooden doors in every room with modular finish. Vitrified flooring in hall, kitchen, common bedroom & wooden flooring in master bedroom. Key less entry, doors security system in each flat with cameras at the entry gated with intercom facility. The satellite town of Zirakpur in Chandigarh is the latest hub for real estate and infrastructure development. The state has a lot to offer its inhabitants whether it is its excellent climate, breezy weather or the immense opportunities on the career front. Considering the opportunities laid across, the cost of residential apartments and commercial properties is all set to hike in the coming years, thus turning it into a potential area for investment. Offering a state of art architecture to all its buyers, Altura Apartments Zirakpur is a property to look forward. The project is provisioned with all the important amenities and facilities that will ease out the experience of buyers. Whether its internal facility or amenities outside the complex, everything is built in tandem to meet the necessities for buyers turning it into a potential investment point for house hunters and investors from across the country. 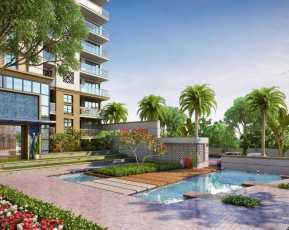 Owning a Property In Chandigarh is made easy with Altura properties, that comes with offers that not only favors the buyers but also provides them a peaceful and ultra-modern living through their enticing contemporary construction. 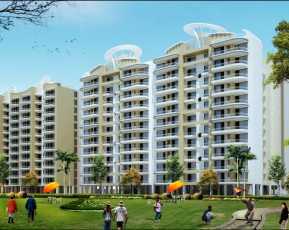 This Property In Zirakpur offers Penthouse residential apartments. Every penthouse comes in a configuration of 3 BHK starting with floor plans of 1790 sq.ft ranging up to 3300 sq.ft. 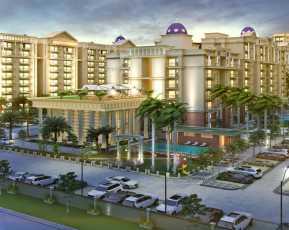 The project is developed by Tricity developers who are known for offering exotic lifestyle through their enriching architecture. The interiors of the apartment are designed using the latest technologies. The floors are covered with vitrified/ wooden flooring that lends the rooms a posh western look. The floorings used in washrooms, balconies, and bedroom are of anti-skid ceramic, with the view of avoiding accidents. The rooms are spacious, airy coupled with good natural lighting. The apartment comes with complete fixtures and furnishings, electric connections. The kitchen is well ventilated with modular kitchen and granite tops rendering a modern-day living. 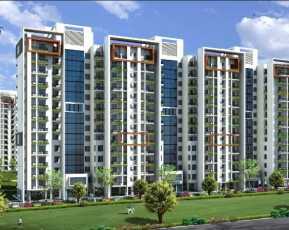 The wide balconies opportune inhabitants to shower themselves in the beatific beauty of Chandigarh and breezy air that will leave the people in awe. The developers have ensured the recreational quotient is well-taken care of. For this, there are indoor and outdoor gaming courts, sports court, clubhouse, multipurpose halls, children park, a well-equipped gym for all fitness lovers, wide landscaped garden and park along with 24 X 7 security. For the protection and safety of inhabitants, the entire complex is under CCTV surveillance and intercom facility. The lifts are power backed ensuring there is no inconvenience caused to people due to power shortage. The residential township is located at a prime location that has good connectivity with the surrounding regions along with good transport facility. From basic to civic facilities everything is provisioned in close proximity to the apartments. There are banks, ATMs, restaurants, pubs, theatres, hospitals, shopping malls, etc. are located closer to the place. The Altura Apartment Price is offered at affordable prices that fit everyone’s budget with amazing loan options and services. With flexible payment modes and services to NRI customers, the project, the developers have ensured no buyer’s dream is left unexplored.